We’ve never had any success with growing peas in our garden, but this year, we actually have a row of peas growing in our garden and producing sweet peas! 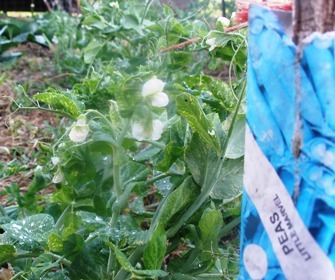 We planted the peas from seed…the .20 cent seed packages that I bought at the Dollar Store. We’ve been picking a handful of pea pods almost on a daily basis, but we haven’t made anything out of them yet as they are eaten up raw before we can collect enough to make a pot of peas with. 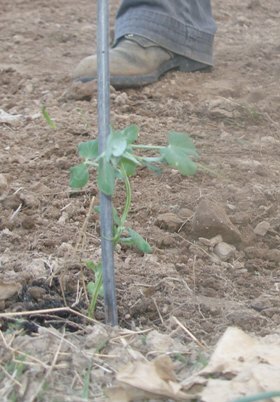 We should have planted several rows of peas and then maybe I could have started canning peas…but I wasn’t sure how they would do. I’m more confident now that I want to plant more peas in the fall and next spring. I’d love to add peas to my canning shelf! I’m not sure how long they will keep producing once the weather starts warming up more? It’s getting hot fast!